For safety, it’s important to service your chainsaw the proper way. 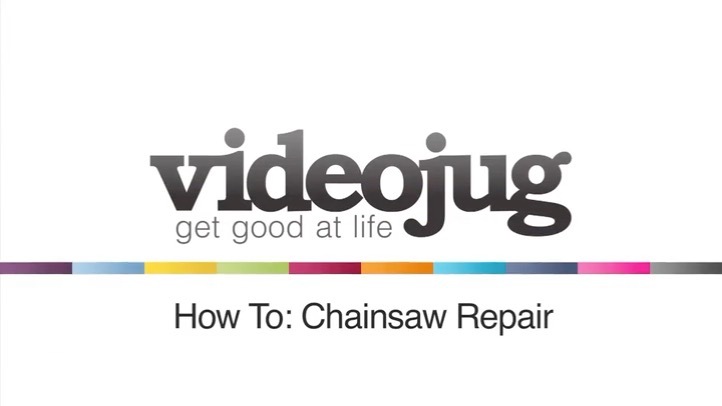 Listen to Pete as he explains how to service your chainsaw for maximum use. Today, I’m going to show you how to service a chain saw. First, we are going to remove the fuel cover. Then, we’re going to remove the fueler. So, here we go. Okay. Pull that straight away from the carburetor. And what you can do, you wash that under tap with lukewarm water and then, make sure it’s fully dry and then, that’s all clean. The next part is to check that your oil is topped up and your petrol. Okay. You’ve got two compartments on the side here. One’s for your oil and one’s for your petrol. So, what you do is you just open them up. Make sure they are both full to the top. This one’s already been filled up already. Also, on this side, you’ve got one for your petrol. So, just open it up and just make sure that one’s topped up, too. What you need to do next is to check your chain break is working. Okay, this is on the front of the machine. Okay, this should click forward and lock the chain in place. So, it is. Make sure you’re wearing gloves. I’m not wearing gloves. Just make sure that’s tight, release it and then the chain should move with ease. Make sure it’s all clean around the actual chain so that there is no grit or dirt in there. And then, the part after that is just to check this spark plug. To remove that, you’ll need a spanner. Undo the spark plug anticlockwise like so, a bit fiddly, it’s got a lot on it. Okay, what you need to do, place that into a vice or some sort of clamping device. Get a wire brush, wire brush the top out to make sure it’s clean and make sure there’s a gap between the top and the bottom there. Okay, once you’ve done that, then you’ve finished serving your chainsaw. And that’s it for serving your chainsaw.